Cure4 Cystic Fibrosis Foundation is proud to announce the appointment of Suzy Dimaline as Executive Manager. Suzy has over 24 years’ experience in the not-for-profit industry, particularly within the disability and employment sectors. 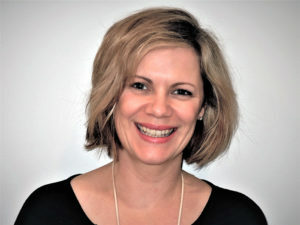 She has lent her expertise to roles with the MS Society of SA & NT and most recently, the Women’s & Children’s Hospital Foundation, where she focussed on the redevelopment of their community and bequest programs as Special Projects Manager. In her new leadership role of Executive Manager, Suzy is working with the board to inform our organisation strategy. She takes on the responsibility for delivering operations including: fundraising, managing key stakeholder relationships, leading staff. Suzy has commenced her leadership role with Cure4 Cystic Fibrosis on November 27 and will lead a growing team as we invest additional funds towards enhancing our ability to raise even more funds for research into a cure for cystic fibrosis. Stay tuned for more exciting announcements coming your way in near future.